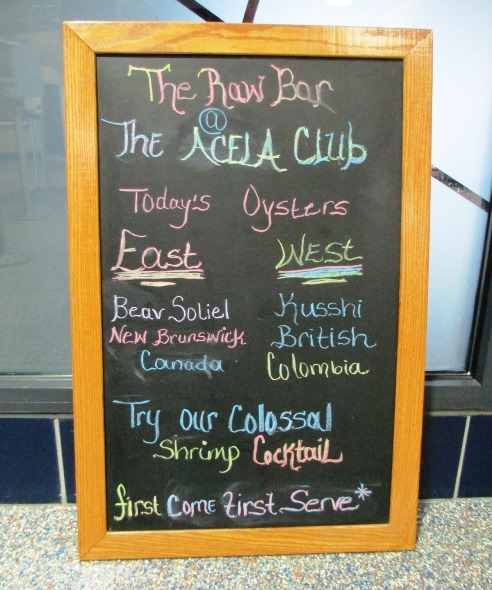 Recently while going over the insane Citi Field menu, I discovered something interesting. 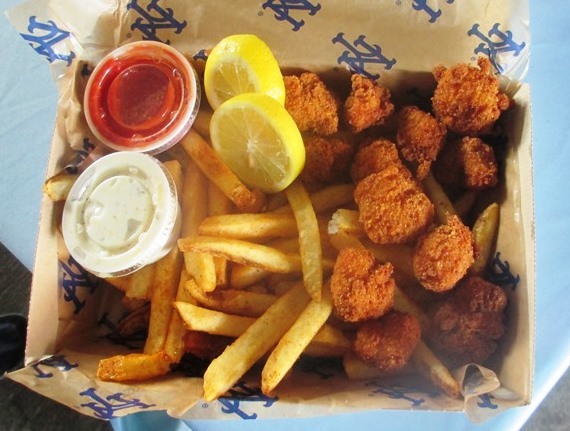 The Mets, for some reason, love French fries, and there’s quite the selection of fries at their ballpark. 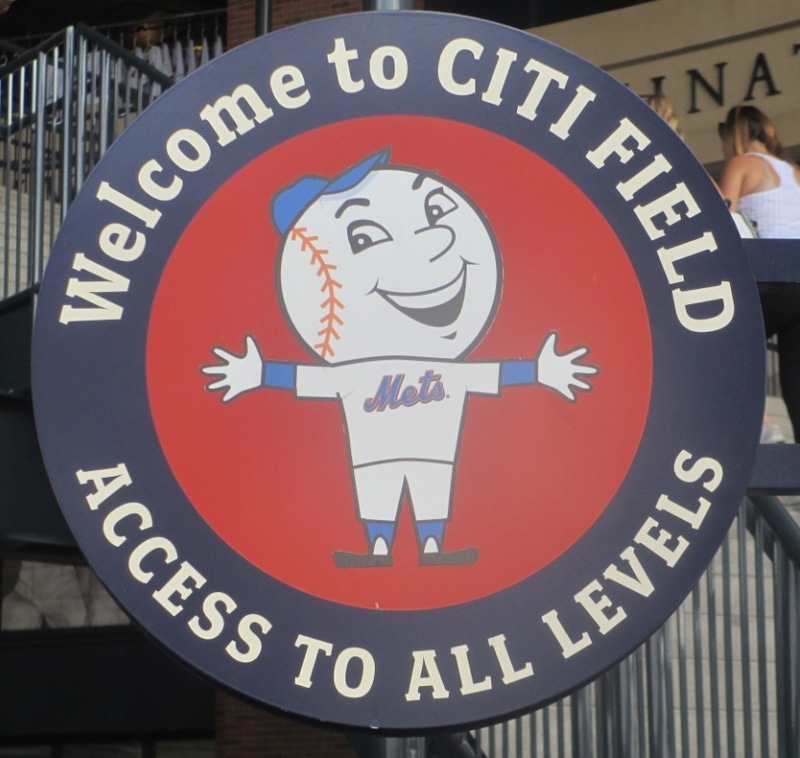 Citi Field is known for being popular with foodies, and for good reasons—there’s the ever-popular Shake Shack and the Shackburger drawing long lines, the Blue Smoke BBQ and its Kansas City pulled pork sandwiches, Mama’s of Corona’s subs, Keith Hernandez’s burgers, and the many varieties of Two Boots pizza. There are at least ten different types of fries at Citi Field. No fooling. 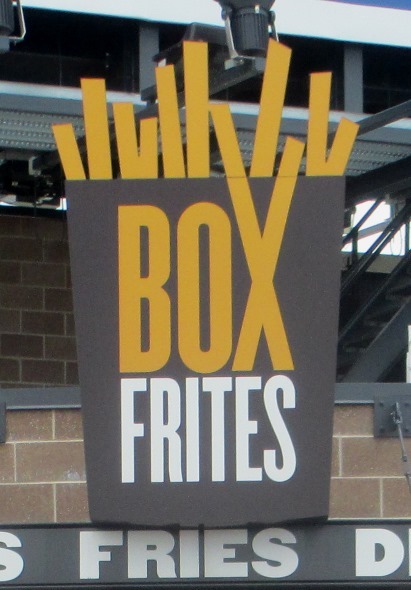 The two Box Frites, in the center field food court and in the upper level food court, are the stands for fries and just fries. They’re Belgian style long and straight frites (that would be “fries” in English, I’m betting) served with any of three or four dipping sauces—including bacon ranch or chipotle ketchup, which works for me. Box Frites come in several iterations, too, like garlic parmesan and “disco” fries with gravy and cheddar. Garlic parmesan fries are especially popular, as Amazin’ Avenue let me know in their review of the Citi Field E-Guide. You know they’re fresh at Box Frites; they throw out any fries that have been sitting for a short time. I covered up the burger because you wouldn’t respect the fries otherwise. 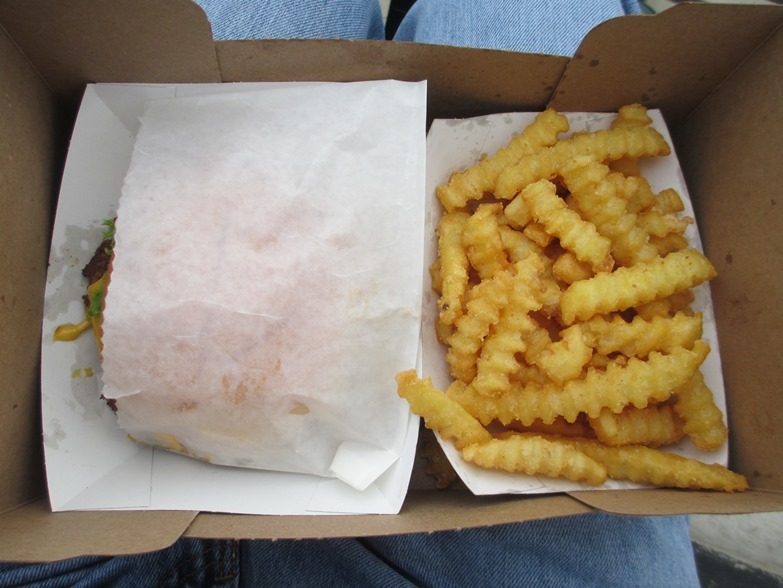 The Shake Shack is known for the juicy, wrapped-in-wax-paper Shackburger, but their fries are nothing to be ashamed of. If you order the platter, you get a more than fair amount of long, crinkle cut fries, and the Shake Shack fries are crunchy and cooked just right, with malted cheddar if you want. If you don’t want to get in two lines, the Shake Shack will do nicely for your fry needs. Blue Smoke BBQ also has a cup of fries to go with your pulled pork or fried bologna sandwich—the fries are straight and crispy, not spectacular but certainly passable (they’re a little bit like Wendy’s fries, I’d say). Not as good as the Shake Shack; something about crinkle cut just makes fries better. Fries with lemon juice and tartar sauce. Why not? The Catch of The Day stand in the right field corner, along with their lobster roll and po’ boy sandwiches, have “Bayside Fries”—also long and straight, covered in sea salt and Old Bay seasoning and served with a cheddar cheese sauce. If you’ve ever had the Chickie’s and Pete’s fries in Philly, they’re somewhere in that flavor league, although C&P fries are thin and crinkle cut and served with an American cheese sauce. Dave Pasternack, the chef behind Catch of The Day, claimed when Citi Field first opened that the Baysides would give the Box Frites a run for their money for the best fries at Citi Field. That’s a bold statement. The timeless classic of NYC. 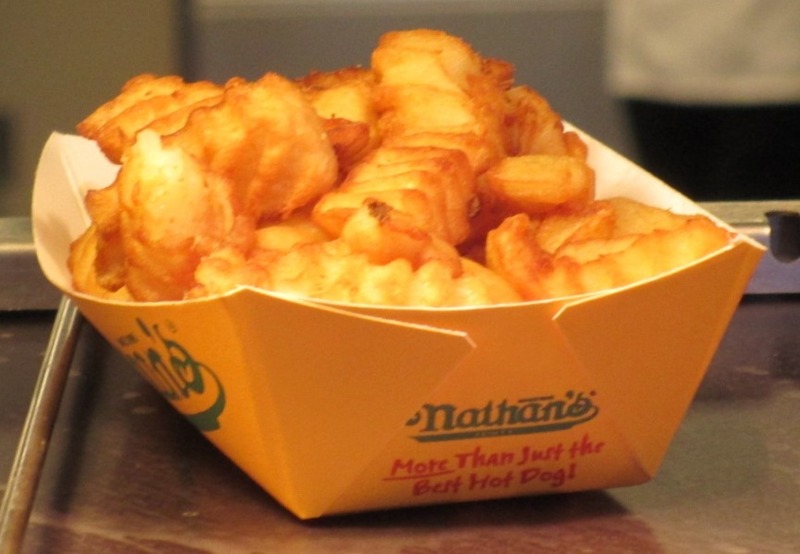 And finally there’s the Nathan’s Famous fries. Don’t be fooled by there being more than one or two Nathan’s at Citi Field as opposed to Shake Shack or Box Frites. That doesn’t mean that their fries are inferior in any way. Nathan’s offering of fries at Citi Field are thick crinkle cuts that are almost as famous as the hot dogs that put Nathan’s on the map. They are what fries should be—crunchy on the outside and hot and fluffy on the inside. And you won’t have to wait in a long line for them. Okay, that’s five variations on French fried potatoes at the home of the Mets—and I haven’t even counted the restaurants and club areas. Yes, we have fries too. The Delta Club has sweet potato fries and McBride Farm’s russet fries (born in McBride’s organic farm); the Porsche Grille (formerly Acela Club) Club in left field has fries with Western cheddar and hand cut herbed fries; and McFadden’s restaurant attached to the ballpark has steak fries and very attractive waitresses serving them (they used to have waffle fries but they’re not on the menu anymore, unfortunately). The Foxwoods Club didn’t try to come up with one of their own—they’re just selling Nathan’s. Boo. So if the quality of the available French fries is a factor in your ranking of ballparks, the selection of fries at Citi Field should score very highly on your list. They have thick fries, thin fries, crinkle cut fries, long cut fries, Old Bay seasoned fries, sweet potato fries, cheese fries and fries with chipotle ketchup. On the other hand, if you’re on the Atkins diet, maybe you’re better off at Yankee Stadium.